I have been and always will be a huge fan of Dunkin' Donuts! Why am I am fan? Well lets start price, it's like $2.50 for a large which is 32oz of iced coffee I don't see anything over 20oz at Starbucks and even their "venti" is about $5. On top of being something everyone can afford you also have a huge menu to choose from. Not only does Dunkin' Donuts have coffee and donuts, they have sandwiches, bagels, wraps, frozen fruit drinks and more! Now showing up in Dunkin' Donuts are Conference room which have nice black office chairs great for any out of office meeting, you can find out which stores have a conference room by clicking here. New for Valentines Day, Cupids Choice Donut filled with bavarian cream and topped with sprinkles, and ready for this, a Brownie Batter filled Chocolate frosting Heart Shaped Donut! How great does that sound. I really enjoyed the Cupids Choice Donut it was wonderful I would love a dozen for Valentines Day! With a dozen donuts you cannot go wrong. There is plenty of selection at Dunkin' Donuts like Glazed, Chocolate Cake, Coconut Baked, Jelly Filled and more! Its a great idea for a Valentines Day check list. Next you have your drinks, which like I said is not limited to just coffee. My personally favorite was the ice coffee lots of cream and sugar, but after getting to try new items that has changed! My favorite is the Dark Mocha Coolata it seriously taste like a Bailey's. On top of this totally awesome drink they have many other choices of Frozen drinks which include Strawberry, Orange Coolata, Vanilla, Mocha and so much more. 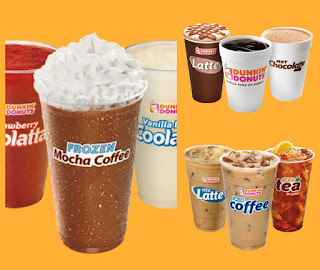 For us living in Florida we all know we like cold things to beat the heat so why not stop in for a flavorful iced beverage. When it does get cold out, coffee is a number one choice for a fast warm up or a pick me up. 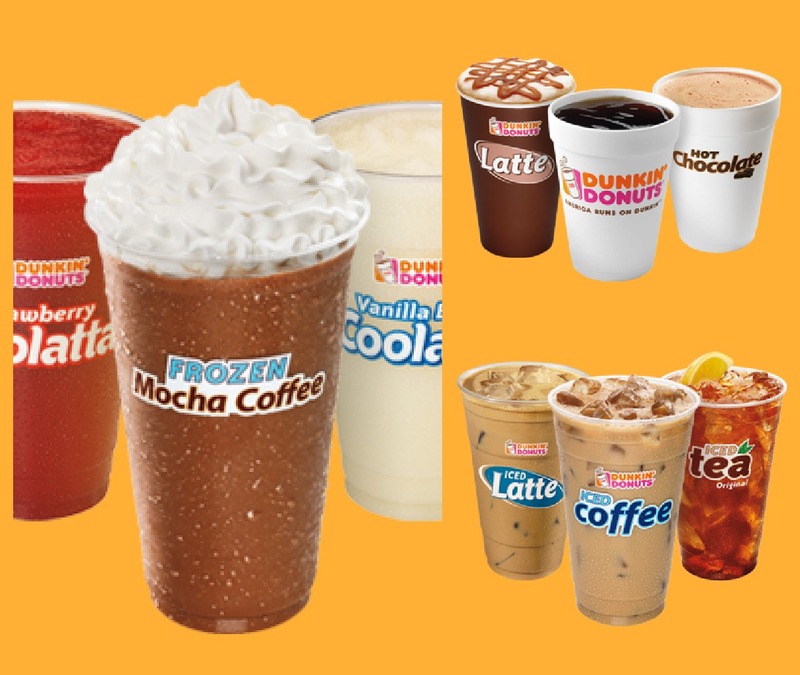 Dunkin' Donuts has a huge selection on how you can make that coffee taste just how you want. They have caramel, vanilla, mocha, and more to mix in your drink, which they make right in front of you. Did you know that on top of having coffee that's hot they also have Hot Chocolate! Wow I was in shock it was so good, the whip topping just put it over the top on being the best hot chocolate. I love breakfast and hate that most places only serve it til about 10am which sorry I am not up and out yet so I miss out on breakfast often. 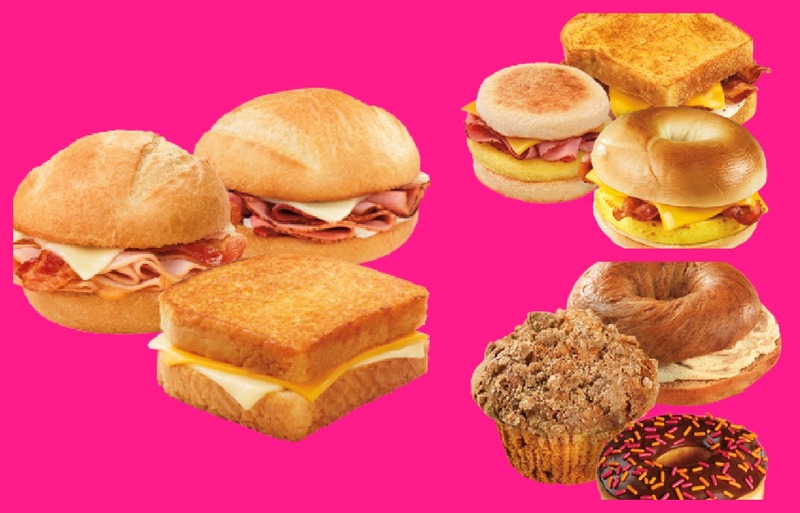 Dunkin' Donuts helps me with my dilemma with having breakfast sandwiches served fresh all day long. They have all kinds of sandwiches even some for those who don't eat beef. I tried the Ham and Swiss on a bakery bun it was great. 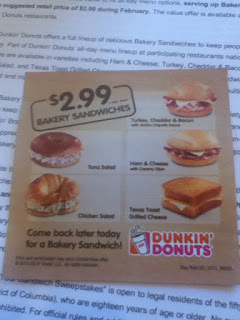 New to Dunkin' Donuts sandwiches is the Smoked Sausage Sandwich, a Texas Toast Grilled Cheese which is not 1 but 3 slices of cheese! 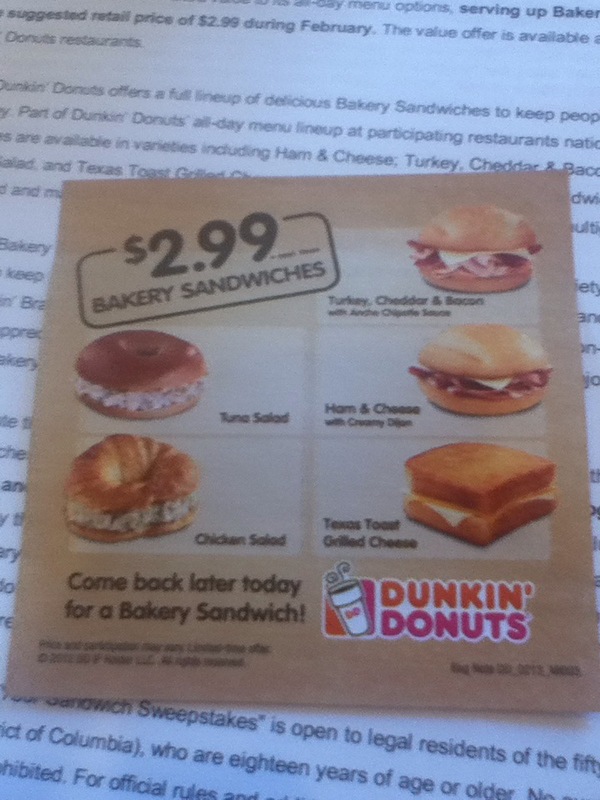 Also New to Dunkin' Donuts is a chicken salad or tuna salad croissant, and coming soon they will have pepper eggs, and chicken salad or tuna wraps. All sandwiches can be made with the bread of choice if you want a sausage egg and cheese sandwich on Texas toast you can have it just ask. For the month of February select sandwiches in the Central Fl area will be only $2.99! So stop by and try one today! Local Readers, the Dunkin' Donuts the event was held at was at 8485 South Orange Blossom Trail which is right next to the Florida Mall. The new location is AWESOME, it has free Wi-Fi, a Drive Through, Flat Screen TV's inside the large seating area, and a conference room! Don't have time to get out and visit a Dunkin' Donuts you can purchase their coffee at local retails and make it at home! They now carry K Cups of Caramel Coffee! A 14 count box can be purchased for only $11.99 that's less then a dollar a cup of coffee! 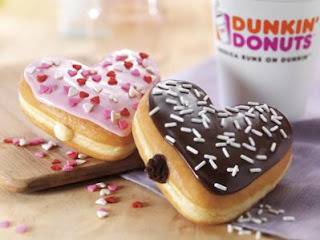 Also check out Dunkin' Donuts newest App, where you can purchase coffee, send gifts, and more! You can follow Dunkin Donuts on Facebook here DD Facebook and you can Follow them on Twitter and my Local Readers can Follow the local DD here on Facebook for all the latest news and deals here.